One of the great wits of Victorian literature had a life-long fascination with Catholic ritual & art which eventually blossomed, toward the close of his life, in a conversion to the Catholic faith. This is explained in this article over at the Catholic Education Resource Center: The Long Conversion of Oscar Wilde. In our era Wilde is usually celebrated for his embrace of a bohemian lifestyle, but if one looks deeper into the works & life of the man, strong currents of a spiritual river that eventually flowed to the Tiber become visible. So, who was Wilde? As the author of the article, Andrew McCracken, points out, Wilde contained multitudes: "writer, wit, voluptuary, gay man, failed father and husband, sensitive soul, laughing stock, broken heart, eleventh hour Catholic convert." 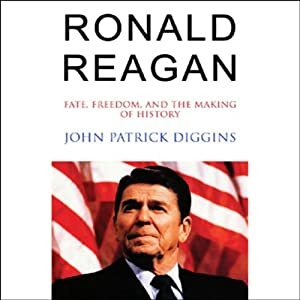 Awhile back I finished up historian John Patrick Diggins' book on President Ronald Reagan. Diggins brings up an interesting point that I hadn't realized, namely that Reagan's views were strongly influenced by Thomas Paine. 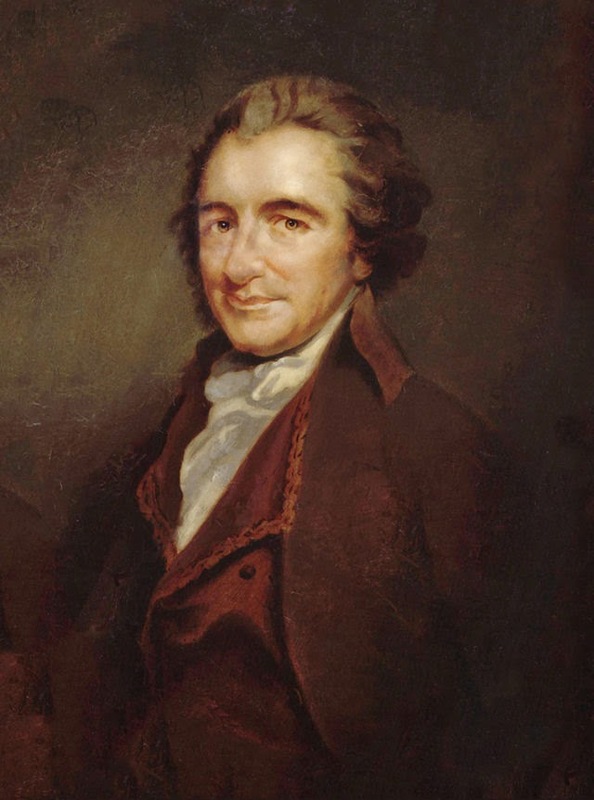 Paine is the one founding father that Reagan quoted the most, and much of Paine's ideology -- individual liberty, a suspicion of large institutions, hostility to taxation and government regulation, etc. -- is evident in Reagan's general approach to conservatism as a governing political philosophy. Paine's influence on Reagan accounts, in Diggan's telling, for much of Reagan's unorthodoxy as a modern conservative. As a result, Reagan's brand of conservatism was remarkably untraditional in its rhetoric. In several different contexts, Reagan quoted Paine's stirring line, "We have the power to begin the world anew" -- a very untraditional sentiment, one that displays the precise opposite of the customary conservative impulse to embrace the necessity of restraint in public reform. Reagan embraced Paine's idea that human beings can liberate themselves from corrupt & oppressive structures in order to create a new order of liberty & individualism. While Reagan appealed to voters of a more traditionalist perspective, he was no fawning disciple of Russell Kirk & even less a disciple of Edmund Burke. Behind Reagan's conservatism was a streak of radicalism that is unappreciated by many conservatives today who tend to be overly hagiographic when speaking of the former president. The lack of depth about the nature of Reagan's beliefs is sadly shared by many progressives who demonize Reagan because of his success in shaping the political landscape in a more conservative direction. It is a fascinating twist of history that the most radical founding father serves as a primary philosophical influence on the most successful conservative president of the 20th century. Any attempt to understand Ronald Reagan must take into account the influence of Thomas Paine on his work. And any attempt to appreciate Thomas Paine's influence on America must look to the impact his work had on the ideas, rhetoric & program of President Ronald Reagan. Even Thomas Jefferson, a deist hailed as a hero of today’s secularists, took a generous approach toward the public role of religion after disestablishment. For example, Jefferson routinely attended religious services in government buildings as president. Jefferson was the author, of course, of the 1802 letter in which he argued that the First Amendment had erected a “wall of separation” between church and state. But the same weekend he sent this letter to the Danbury Baptist Association of Connecticut, a Baptist minister named John Leland preached before a joint session of Congress, with the president in attendance. The actual history of faith and the Founding, then, confounds our expectations. Evangelical Baptists were the staunchest advocates of church-state separation, and their union with deists like Jefferson made the Baptists’ vision of religious liberty a reality. You could hardly imagine this collaboration of skeptical politicians and traditional believers today. Their partnership worked, however, because deists such as Jefferson realized that religious liberty did not require rigid secularism. The Baptists, for their part, knew about Jefferson’s personal skepticism, but they supported him because he was the champion of real religious freedom. Not all America’s Founders were devout Christians, but America was founded with Christian principles in mind. Among the most vital of those ideals – one that could bridge the gap between evangelicals and deists – was an expansive concept of religious liberty. John M. Pafford makes the argument that John Jay was the most conservative of the American founders in this book review posted over at The Imaginative Conservative: John Jay: Man of Order, Justice, Freedom. As Pafford points out, Jay's work and contribution to the Founding were substantial, and he deserves far more attention than he usually gets in discussions of the Founding period. Personally, I would rank Jay alongside Samuel Adams and Fisher Ames as the most overlooked of the founders. I've been reading through The Myth of American Religious Freedom by David Sehat (Oxford Univ. Press, 2011). One of the interesting points raised thus far in the book is the troubled history of religious liberty for Catholics in the colonial and revolutionary periods in our nation's history. It is well-established that notable Founding Fathers like Thomas Jefferson and John Adams had little respect for the Catholic Church, seeing it as both as a staunch defender of orthodox trinitarianism and as a barrier to a rationalized and largely de-supernaturalized re-imaging of the Christian faith. And it bears noting that those two Founders were right on both counts. Sehat discusses some of the deeper roots of anti-Catholicism in early America, and he pays particular attention to the prime secular justification for anti-Catholic prejudice at the time, namely that Catholics, due to their spiritual allegiance to the Pope, could not be trusted to be faithful citizens. Except the professors of the religion of the church of Rome, who ought not to hold lands in, or be admitted to a participation of the civil rights enjoyed by the members of this State, until such a time as the said professors shall appear in the supreme court of this State, and there most solemnly swear, that they verily believe in their consciences, that no pope, priest or foreign authority on earth, hath power to absolve the subjects of this State from their allegiance to the same. And further, that they renounce and believe to be false and wicked, the dangerous and damnable doctrine, that the pope, or any other earthly authority, have power to absolve men from sins, described in, and prohibited by the Holy Gospel of Jesus Christ; and particularly, that no pope, priest or foreign authority on earth, hath power to absolve them from the obligation of this oath. Any Catholic who had so sworn such an oath, of course, would by its terms have to affirm doctrines contrary to those of the Catholic Church. Specifically, a Catholic who complied with Jay's proposal would have to deny one of the sacraments of the Church (confession), and would have to deny the power of the Pope to release people from vows and oaths. No Catholic, then or now, could in good conscience swear to such requirements. As Sehat notes, "Jay's problem with Catholicism was similar to the views held by many Protestants." Jay viewed Catholicism as conflating spiritual and secular authority, providing too much institutional power to the Catholic Church to intervene in civil affairs. Fortunately for Catholics in New York and for liberty in that state, Jay's efforts to restrict the rights of Catholics only garnered the assent of a little more than a third of the members of the New York constitutional convention. Jay did, however manage to include language in the New York constitution that, to again quote Sehat, "suffused New York's guarantee of religious liberty with Protestant sectarianism, in spite of its apparent separation of church and state." There is much history within the English political and religious landscape that fueled Jay's attempt to restrict the religious and civic liberty of Catholics in New York. Jay's concerns about papal authority to release people from oaths stretched back to the "Bloody Question" that was posed to Catholic martyrs slaughtered for their faith under Queen Elizabeth I. And even that ardent defender of religious liberty, John Locke, drew the line at toleration for Roman Catholics, as the original text of his Letter Concerning Toleration indicates. And Locke's objection was in substance the same as Jay's -- a concern that Catholics would not be faithful to their nation in light of their obedience to the Pope. This objection has largely disappeared from American civic life, thanks in large part to the patriotism and service that Catholics have demonstrated for this country. In addition, Catholics have run for high office throughout the country, and served with distinction in public life. Yet while most anti-Catholicism has retreated into the shadows, it is important to note the widespread and deep anti-Catholicism that was present among much of the populace during the Founding period, and to recall how often religious liberty was sacrificed on the altar of prejudice. Something to keep in mind as the principle of religious liberty again becomes controversial to many of our elites and their institutions. 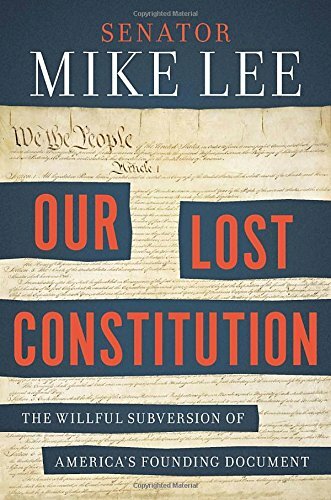 Sen. Mike Lee's "Our Lost Constitution"
Recently published—Senator Mike Lee, Our Lost Constitution: The Willful Subversion of America's Founding Document (Sentinel 2015). Lee’s cast of characters includes a former Ku Klux Klansman, who hijacked the Establishment Clause to strangle Catholic schools; the Chief Justice of the Supreme Court, who called the Second Amendment a fraud; and the revered president who began his first of four terms by threat[en]ing to shatter the balance of power between Congress and the president, and who began his second term by vowing to do the same to the Supreme Court. Senator Mike Lee knows how to tell a story. Combining historical fact and his own legal expertise with imagined dialogues and settings, Lee brings the sometimes dry and archaic debates of the constitutional convention in Philadelphia and other episodes to life, and with them the Constitution itself. This is truly an inspired, fascinating, and important book. Mike Lee won election to the Senate by traveling around his state giving talks about the Constitution. Now he has written a most unusual book, which interweaves lively histories of what he calls the lost clauses of the Constitution with biting critiques of such modern issues as delegation of legislative power to agencies, NSA data collection, church and state, and Obamacare. Readers may not agree with all his conclusions, but they will encounter serious history and a conscientious attempt to grapple with modern issues in light of an enduring Constitution. One finds, here and there, on the fringes of the Right and in the mainstream of the Left, the strange idea that Abraham Lincoln was not a conservative. Portrayed as a radical centralizer and opponent of the old Constitution, he is viewed as a man who ushered America into the era of big government. Nothing could be further from the truth. 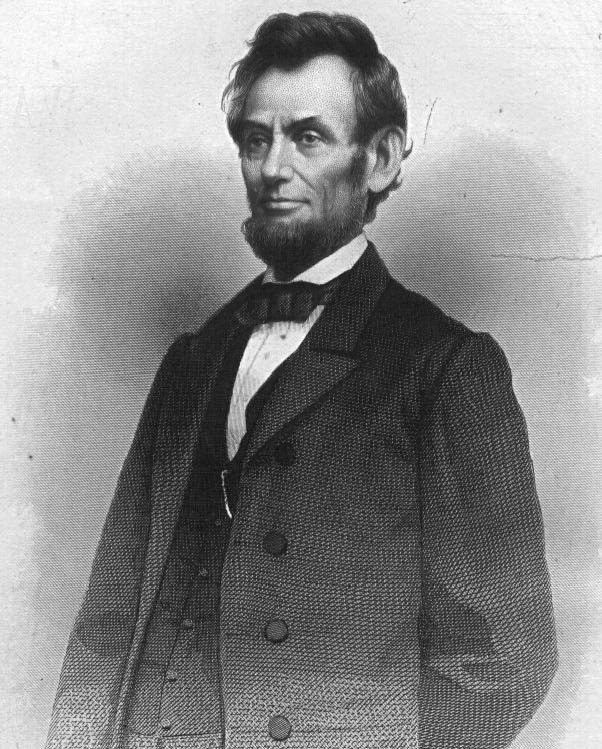 Lincoln was a conservative thinker and politician, a devotee not of the radical theories that would give rise to the modern Left but by the natural law principles of the Founding generation, particularly as expressed publicly by Thomas Jefferson. The Measure of Abraham Lincoln (1954). Lincoln and the Dignity of the Presidency (1970), with an introduction by Brad Birzer. "How many of you know who George Mason was? Does our president?" So asks the noted civil libertarian journalst in this op-ed on the importance of the Bill of Rights and the 4th Amendment in particular: Who will teach our police the Bill of Rights? 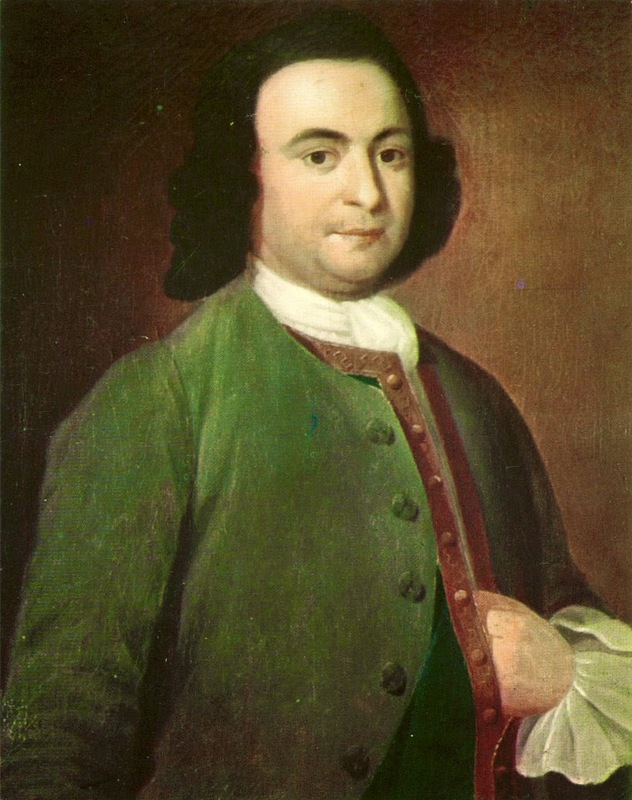 My primary hero of the full existence of the Constitution is George Mason, a Virginia delegate to the 1787 Constitutional Convention. Why him? He refused to sign the Constitution because it didn’t have a “declaration of rights” – the individual liberties of American citizens. A government of limited and enumerated powers is one of the great gifts that the American Founders left to posterity. But if we don't understand that, if we don't know what the Founders knew, that gift too often falls by the wayside. And that isn't just bad for the folks who find themselves in need of the Constitution's protections in specific instances, it's bad for our public culture and the rule of law.